This post originally appeared on The 36th Avenue on September 11, 2014. I’ve gone overboard. The Halloween decorating is getting out of hand. But I just can’t help myself! 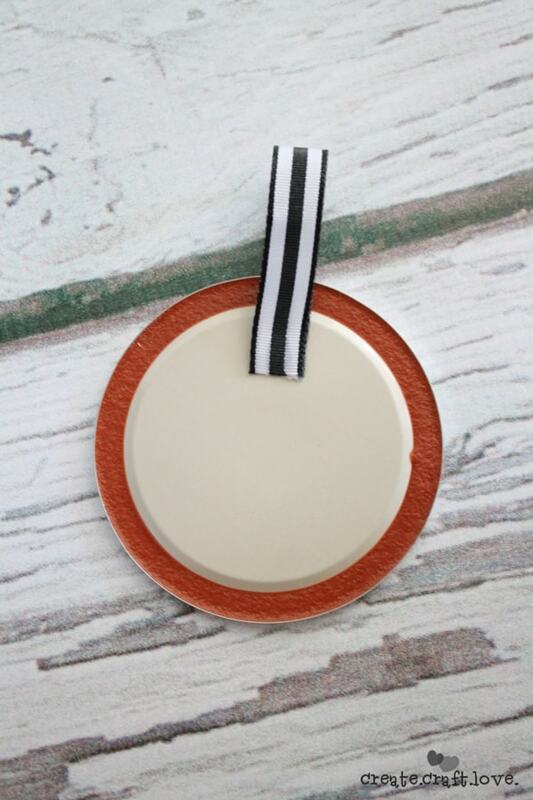 I had oodles of canning lids leftover after making my Canning Lid and Washi Tape Halloween Wreath and my Mason Jar Halloween Ornaments. 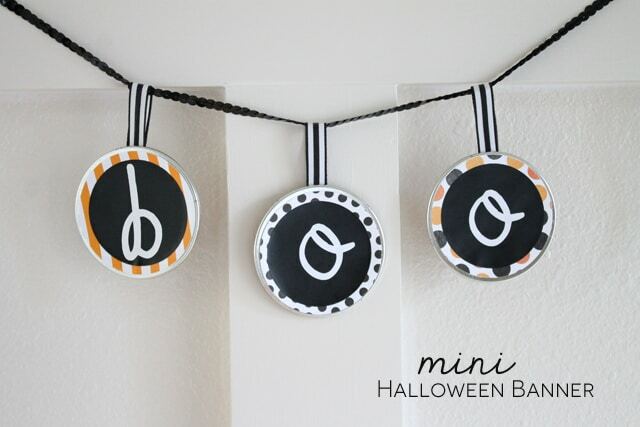 I whipped up this adorable Mini Halloween Banner in less than 5 minutes! 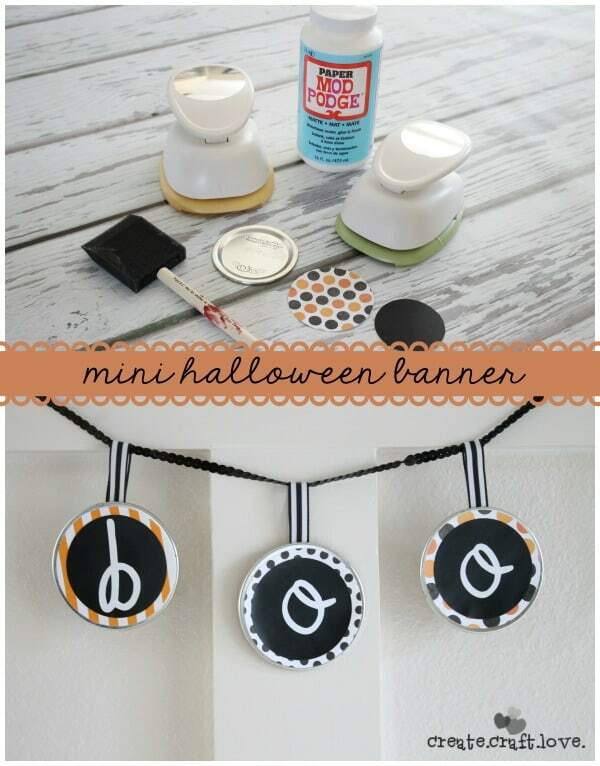 Here’s what you need to create your own Mini Halloween Banner! 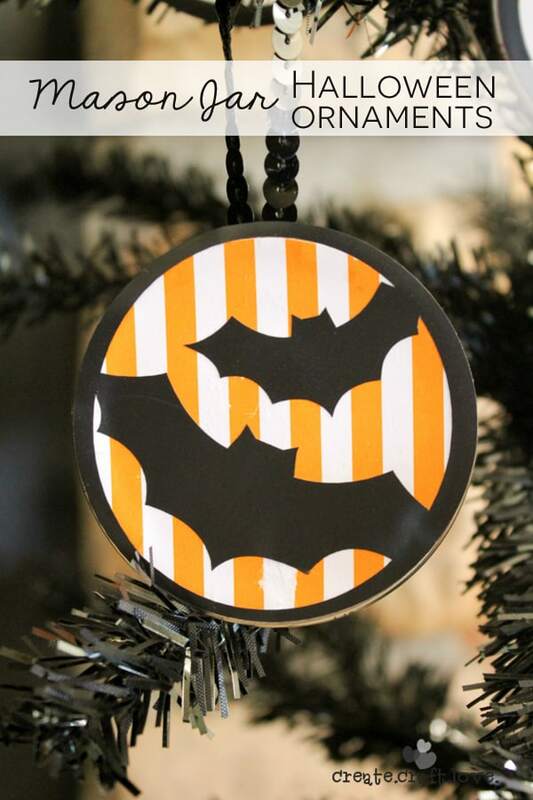 Use your 3 hole punch to cut the patterned paper. 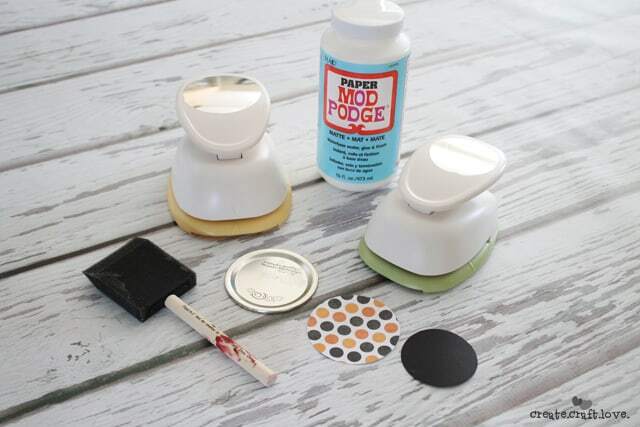 Mod podge to the canning lid. Allow to dry. 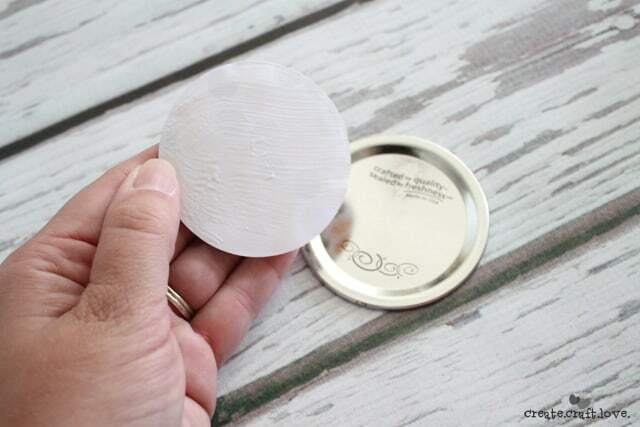 Then punch out a circle from the solid paper using your 2 inch hole punch. 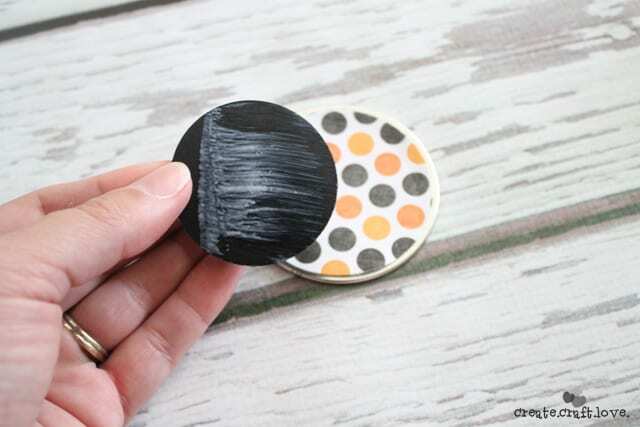 Mod podge to the center of the patterned circle. I spelled out “Boo” but you can do anything! 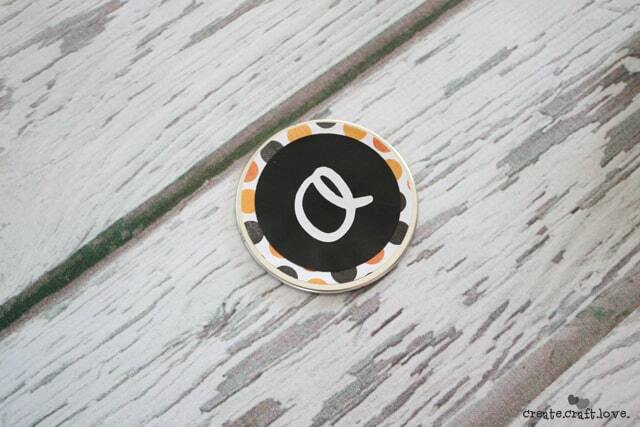 Add the letter sticker to the center of the solid circle. Hot glue a small piece of ribbon to the back to act as a hanger. 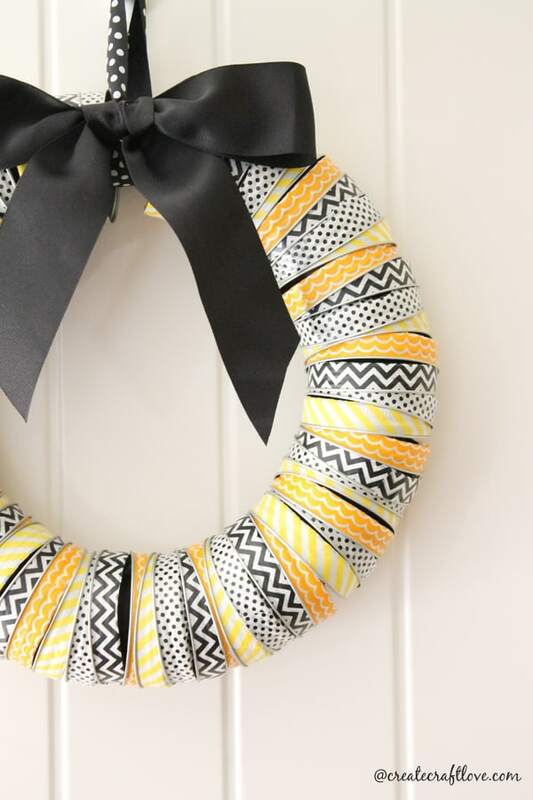 Hang your letters on a piece of ribbon or baker’s twine! This looks so cute on the edge of my shelf in the kitchen! Here is another spin on this craft that I created! 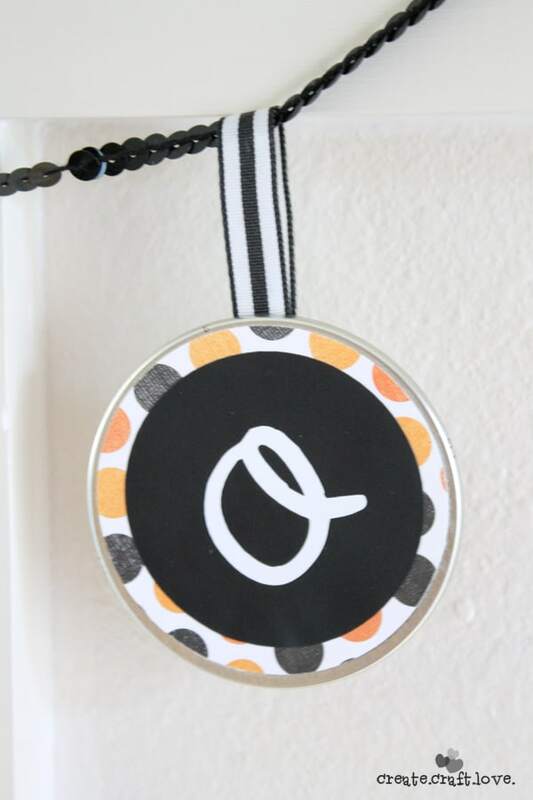 And in case you missed the Canning Lid and Washi Tape Halloween Wreath – here it is!